Washington Administrative Code (WAC) 200-100 requires (Pool) to maintain certain levels of primary and secondary assets to meet solvency standards. As defined in WAC 200-100-03001 total primary assets, cash and cash equivalents less non-claim liabilities, must be at least equal to the unpaid claims estimate at the expected level as determined by the actuary. 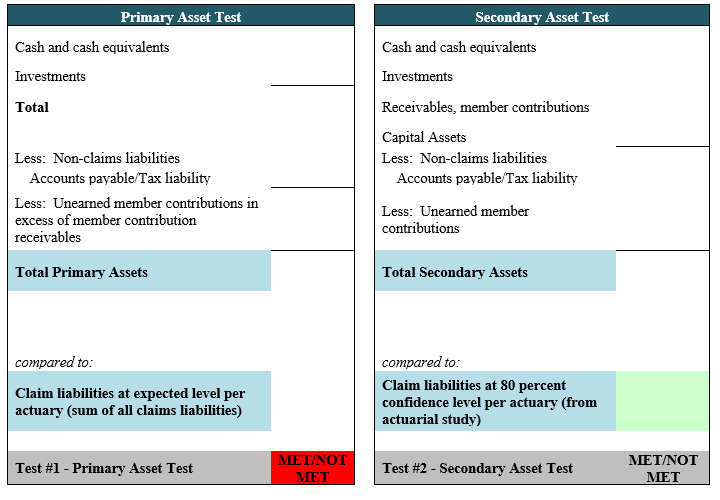 Additionally, total primary and secondary assets must be at least equal to the unpaid claims estimate at the 80 percent confidence level as determined by the actuary. Secondary assets are defined as insurance receivables, real estate or other assets (less any non-claim liabilities) the value of which can be independently verified by the state risk manager. Washington Administrative Code 200-110-040 requires all joint health and welfare programs self-insuring medical benefit programs to establish program reserves in an amount greater than 16 weeks. 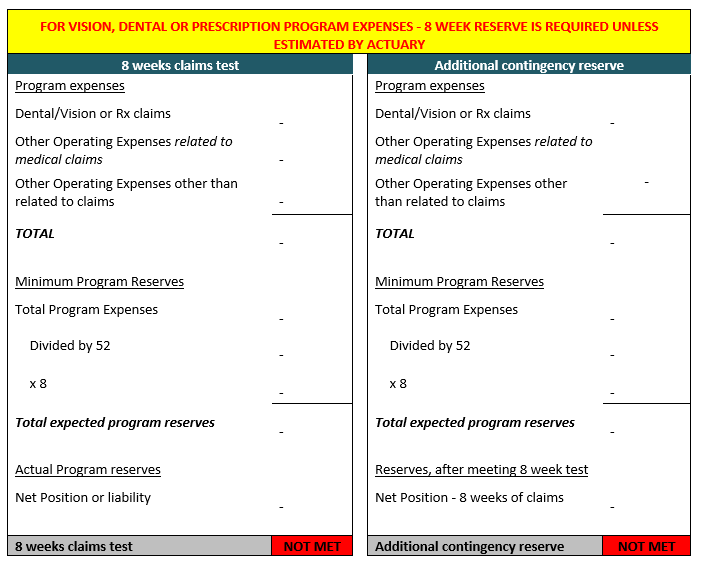 For vision, dental or prescription drug benefit programs or any combination of programs to establish program reserves in an amount not less than eight weeks of program expenses for each program offered. In addition, maintain an aggregate stop-loss insurance policy with an attachment point set at or below one hundred twenty-five percent of annual expected claim costs; and establish by ordinance or resolution of the governing body, an additional contingency reserve for a joint vision, dental or prescription drug program in the amount equal to at least eight weeks of program expenses. 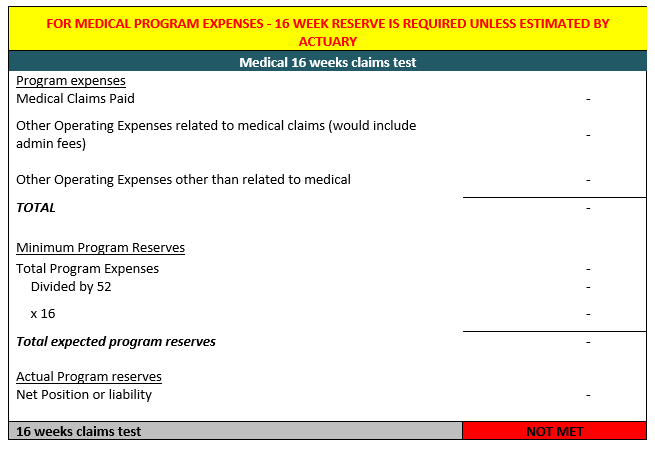 This note should be customized specifically to the risk pool’s circumstances particularly if programs in existence less than one year have established reserves according to the initial plan submitted and approved by the state risk manager, if different than the required eight week reserve, OR if reserve is determined by obtaining an independent actuary estimate.